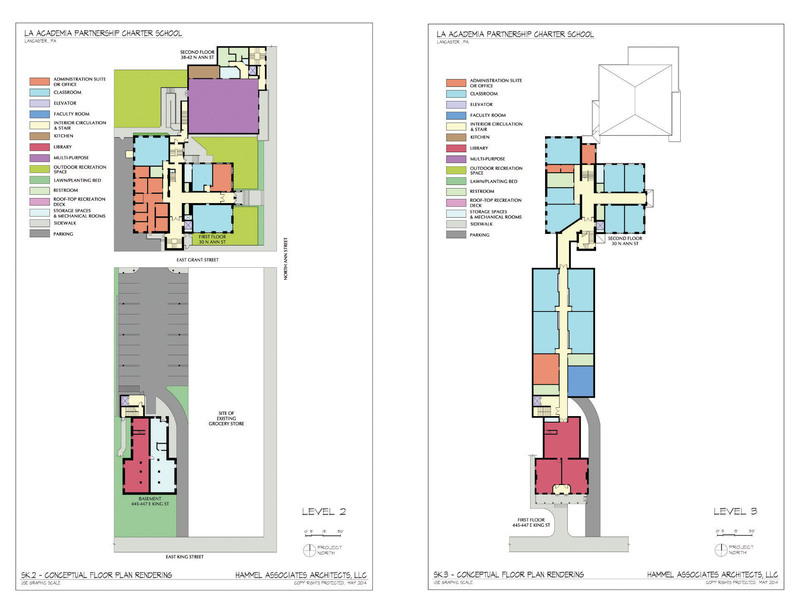 Our Master Plan for the charter school operating in a two-story historic public elementary school included a two-story annex with a fenced-in rooftop play area, a connecting corridor, interior renovations and plenty of parking. We used a color key to present our design plan to the School Board of Directors and city officials. In addition to drawings, the Master Plan contains a summary of all zoning and building code analyses, along with a detailed list of architectural space and proposed building materials and costs. 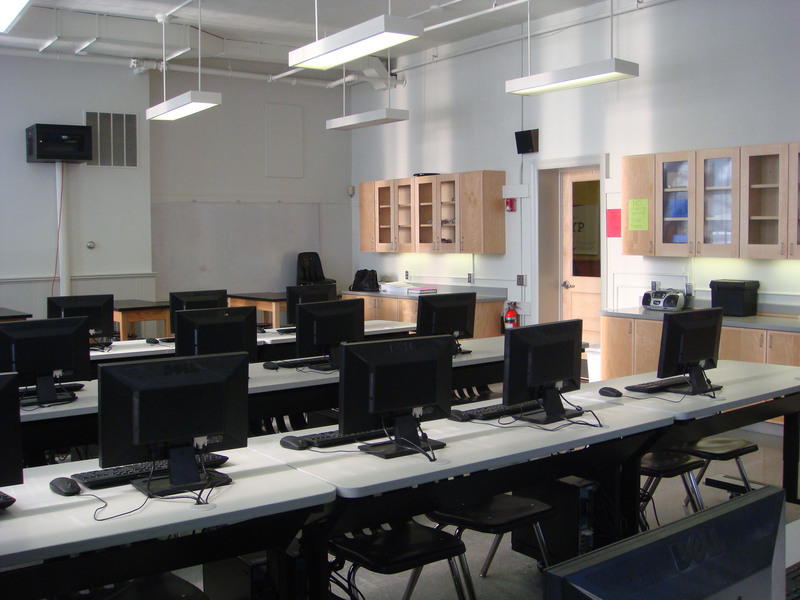 By combining the administrative offices and a small meeting room we were able to create one of the largest classrooms in the school – essential for the STEM (Science, Technology, Engineering and Math) program. 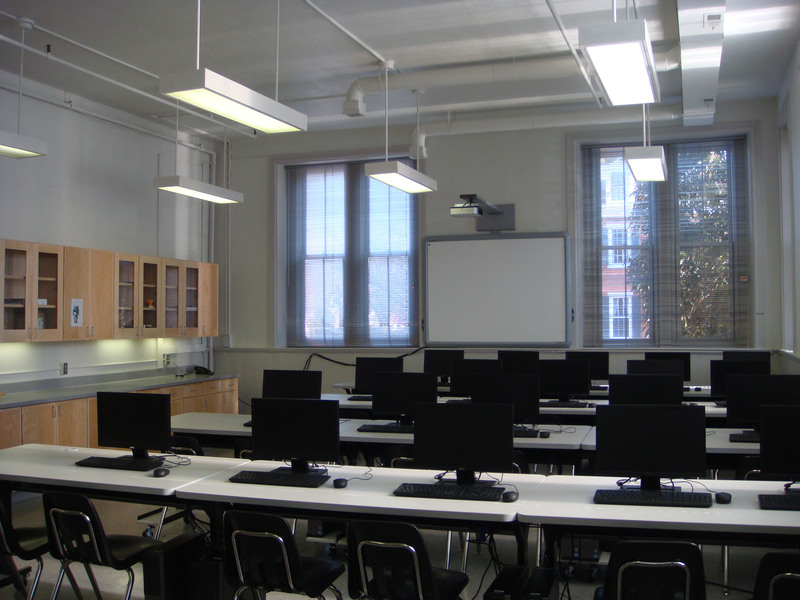 Natural wood doors and cabinets add richness to the interior design while providing ample storage for equipment and supplies, while a digital Smart Board between the windows enhances teaching and learning. The west view of the STEM classroom further illustrates the clean design that provides plenty of well-lit space for students and technology.